Beginners Skating, Agility and All-Hockey Skills Camp is perfect for your little skater looking to try hockey for the first time! This camp requires NO previous hockey experience, but has a skating requirement of UBC Level 4 or equivalent in a Learn to Skate Program (experience skating forwards). This program is a 1/2 day offering with 1 hour of on-ice training and 90 minutes of off-ice training, with time in between gearing up, down and refueling. 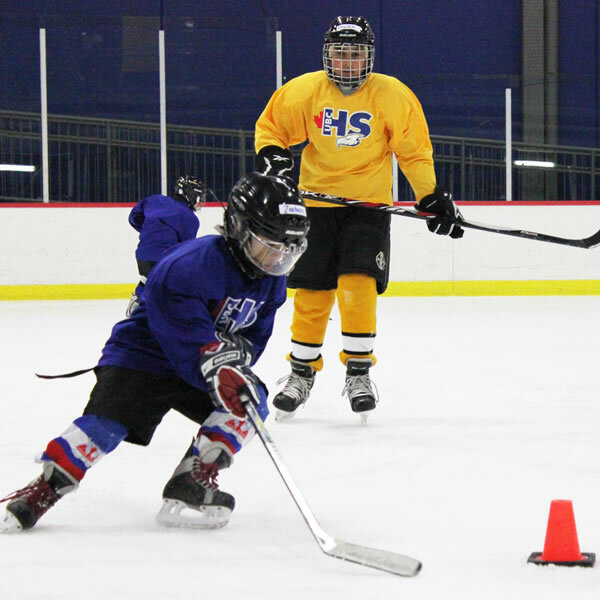 Under the leadership and supervision of our experienced instructors and coaches, campers can expect to learn how to skate with full hockey gear and be introduced to the fundamentals of basic hockey training exercises. Full day campers doing a combination of the morning and afternoon camp will be challenged with more difficult drills in their second ice time of the day. This camp will teach campers different skating techniques, challenge their edges and leave them a fundamentally stronger skater.